(BPRW) 50 Years Later, A Look Back at Dr. King’s Demands for Food Justice | Press releases | Black PR Wire, Inc.
(Black PR Wire) The Poor People’s March on Washington in May of 1968, planned by Dr. Martin Luther King and the Southern Christian Leadership Conference, drew attention to the deep economic injustices that plagued communities of color despite civil rights advances, and presented Congress with an economic bill of rights. 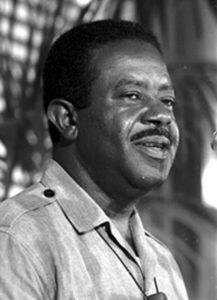 But before the march, Reverend Ralph Abernathy visited the US Department of Agriculture (USDA) to advocate on behalf of farmers denied land, families denied food, and people denied dignity. Abernathy called the very existence of hunger in the U.S. “a national disgrace” and demanded the USDA provide food stamps for those who couldn’t afford them (at the time, people had to purchase them for use) and free and reduced-price lunches for every school child in need. The Reverend also urged the USDA to support black- and Mexican American-owned farms; highlighted widespread discrimination in how the agency implemented agricultural programs; and criticized USDA subsidies for agribusiness. So how much has food and farm policy changed since 1968? Thanks to advocacy by Abernathy and many others, food stamps—now the Supplemental Nutrition Assistance Program (SNAP)—are free for participants. We also have a strong National School Lunch Program, which provides 22 million students in 100,000 schools with free or reduced-price lunches daily. The recently approved 2018 farm bill funds programs for beginning and socially disadvantaged farmers and ranchers and small farms and local economies, which help low-income families purchase more fresh produce. And farmers of color such as Soul Fire Farm’s Leah Penniman and Rise and Root’s Karen Washington have continued Dr. King’s legacy by providing a vision of how our food systems could look. However, we still have a long way to go before we achieve Dr. King’s vision for economic and racial justice. One in eight households don’t consistently have the resources to keep food on the table—and households of color experience hunger at twice the rate of white households. The current administration is also attacking federal nutrition programs, now proposing a rule that would make it harder for unemployed and underemployed adults to qualify for SNAP. Meanwhile, black farmers currently make up less than 2 percent of all farmers in the US, down from about 14 percent in 1920. And discriminatory practices by federal agencies greatly worsened before they got better: the 1999 Pigford v. Glickman lawsuit found that the USDA had systematically denied loans and disaster payments to black farmers from 1981 to 1996, resulting in more than $1 billion in damages being awarded to farmers and their relatives. And agribusiness still reigns supreme. Farm policy in the 1970s directed farmers to “get big or get out,” widening the gulf between small and large farms and increasingly diverting federal subsidies to the biggest and most profitable operations.